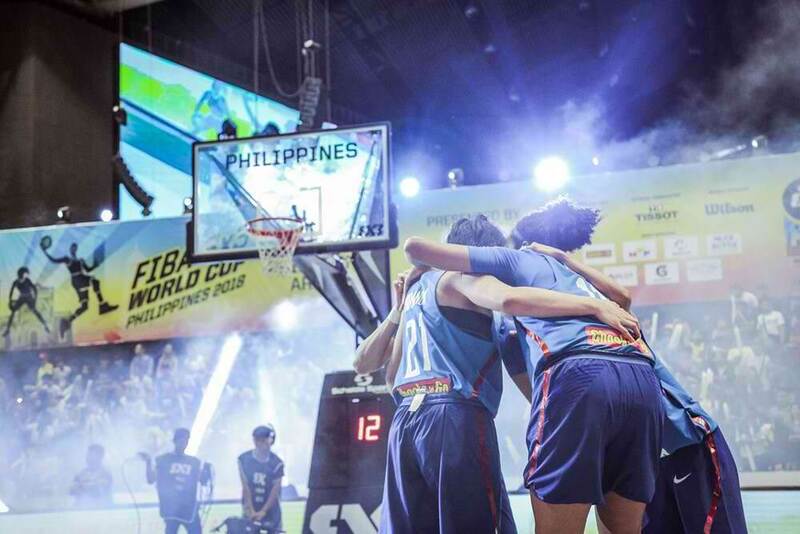 Speaking through tears, voice cracking—Jack Danielle Animam gave the world the most powerful image of women’s basketball in the Philippines during the FIBA 3×3 World Cup. She had been asked about the disparity of support between men’s and women’s basketball, and her sadness came with a jagged edge of anger. In a recent phone call, the reigning UAAP MVP and Perlas Pilipinas member throws caution to the wind and lists her grievances: That even the best collegiate players don’t have regular leagues, whether professional or semi-pro, where they can pursue the sport as a career after college. That the national team, which is the only post-college path for the Philippines’ female players, isn’t fielded in enough international events. Animam has since become the face not just of women’s basketball in the Philippines, but of the struggles they face. And yet we almost never had Animam, because even she once believed the sport was only for men. Animam was already in high school when she first picked up a basketball—and she didn’t do it willingly. Animam begged and begged, but the teacher would not let her off the hook. “At the end of the day, napapayag niya ako. Sabi niya, ‘sige na, try mo lang. Sagot na lahat, pati field trip.’ So sige na nga, wala namang mawawala,” she says. At team practice, Animam says she was the worst on the team: all potential, zero skill. Midway through high school, Animam had grown enough to earn a transfer to National University, which didn’t have a women’s juniors team but included her in the training of the seniors. 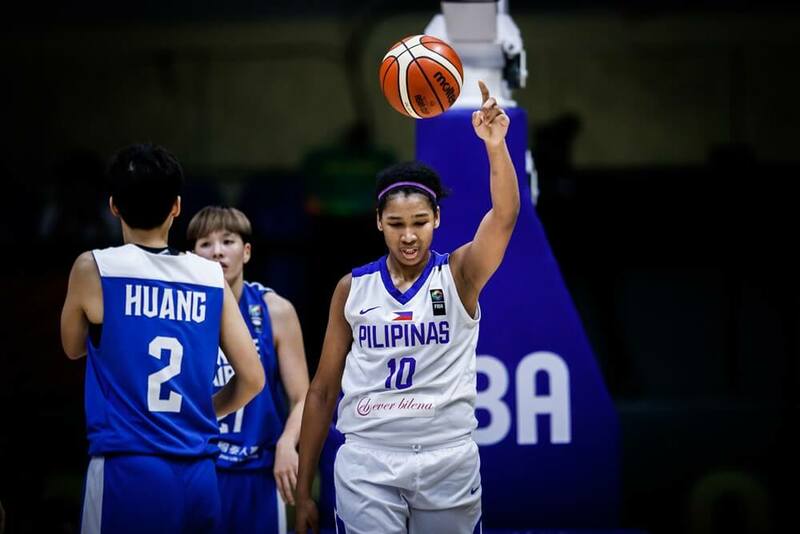 There, she was mentored and brought into the Perlas Pilipinas program by Coach Pat Aquino. Last year, the NU Lady Bulldogs were champions in both the UAAP women’s basketball tournament and the league’s 3×3 event, on top of Animam’s own MVP plum. Perhaps that is why Animam gets so riled up when talking about gender stereotypes in sports—that very thinking almost kept her out of the sport that is now her whole life. And even she believed it. For every success story who made it out of the woods, there are those who are just as deserving but never do. Animam’s principal was her stroke of luck, as was being mentored by Aquino. The question is how many other potential Animams have we missed out on. As a collegiate player, Animam was no longer an outsider looking in. The deeper she went into the sport, the more she became aware of the difficulties facing women’s basketball—after all, she was living them. Animam sighs when she says their male counterparts receive wall-to-wall media attention, while there is a dearth of regular features for women. It’s a chicken-and-egg situation, she says, that locks women in a cycle of receiving less support from corporate sponsors who would like to invest in teams or individual athletes. 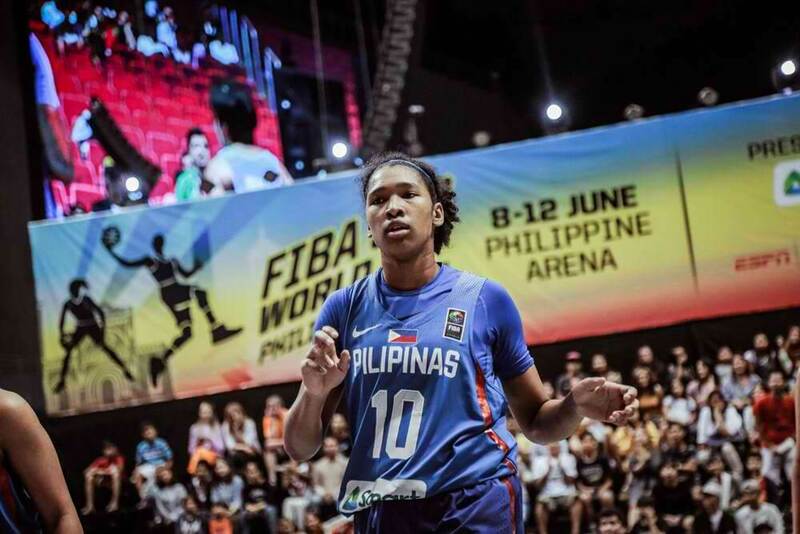 And while her male counterparts may continue their careers in the PBA, D-League, MPBL, and other commercial leagues, continuing to play after college is an anomaly rather than the norm for female basketball players in the Philippines. “Wala naming pupuntahan [after college]. Swerte ka na lang kung kukunin kang [national team]. ‘Yung mga nauna sa akin, where are they now? Kahit hindi kasing prestige ng PBA, kahit ‘yung level lang ng semi-pro, walang liga. Kahit isang tournament lang na continuously, every year mayroon kahil maliit lang,” Animam says. Another sticking point for Animam is this: when exposure is limited, every article counts for so much more towards public perception of the sport. She bristles when sports publications don’t provide in-depth coverage but instead choose to “sell” their sport by highlighting athletes’ looks. “Nababasa ko ‘yung mga articles na ‘yun—‘Top 10 Most Beautiful Faces in Women’s Basketball,’ what the hell? Hindi naman ito beauty pageant. Nakakabastos lang na oo, may write up ka nga, napaka-walang kwenta naman.” Animam tells it like it is. Animam tips her hat to fellow Filipina athletes who have had to hustle hard for their own opportunities, whether it’s trying out to play in other countries or taking initiative to pitch themselves to corporate sponsors, or fundraising to run basketball camps for girls. Let’s get it straight: This conversation is happening among other Filipina athletes as well, from the dorms to the dugouts. It’s easy to get caught up in the frustration, but Animam’s coach gave her a goal. 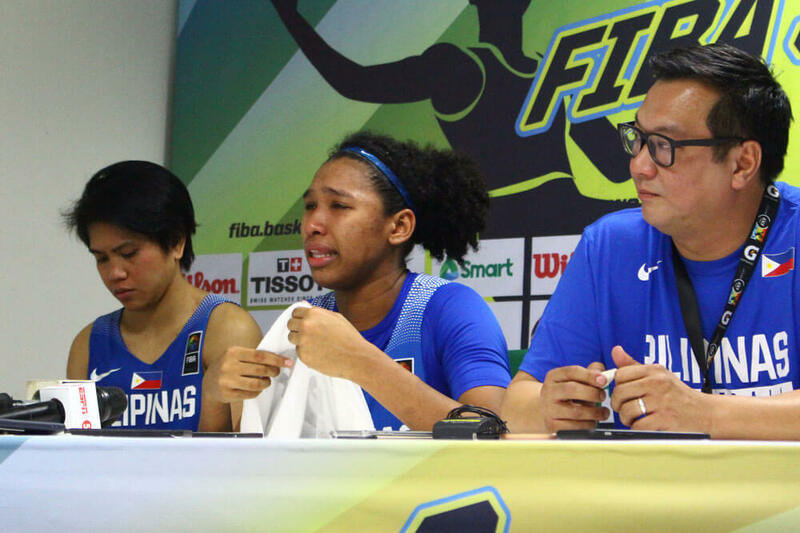 Aquino’s advice to Animam is that of a battle-worn veteran, someone who has been with women’s basketball for so long that he’s seen how slow change happens. His hope is tempered with stoicism—even if others don’t do their part, let’s do ours. Animam’s fire blazes with more abandon, but you can’t blame her for asking more of the system. It isn’t enough for Jack to ponder what we can do for the next generation of female athletes, or what growth we can hope for in five years. It’s not some abstract business concept of “is the market ready?” What’s at stake for female basketball players are their lives now. While Animam’s male contemporaries in the UAAP are excited to graduate and plan for the next step in their careers, for women it can feel like a countdown to the end. “Hindi ko masabi [kung ano balak ko after college]. If ever, magwo-work na lang ako,” she sighs. But if a brand is willing to sponsor her, Animam says, she would love to run a basketball camp for young girls. Since speaking out at the FIBA 3×3 World Cup, Animam has become the face of women’s basketball in the Philippines. She isn’t the type to seek out press or post her two cents online, but call her up and she’s ready to spit fire. “Hindi ako ganito dati,” she admits. “Dati nahihiya ako magsalita at magpa-interview.” The tipping point that finally gave her courage was the sudden outpouring of support for the women’s team at the FIBA 3X3 World Cup. “Oo, talo kami pero ‘yung mga tao, todo ‘yung pag-cheer. Sabi ko, ’grabe, ganito pala pakiramdam.’ Ang daming tao na kahit natalo kami, ang saya-saya pa rin nila. ‘Yung iba sa kanila first time ako makita. Kung 3×3, ganito nang kasaya, what more pa kung may 5×5?” she hopes. Animam knows she’s come a long way from the shy girl who believed basketball was for boys, and she straight up laughs when people call her the unofficial spokesperson for women’s basketball. She’s simply hopes others take a stand as well.